These badges are thick-cut top of the line jeweler quality badges from Blackinton-the famous name in top quality professional grade badges. Stock badges are as shown with stars engraved in the blank panels and center seals as shown. On custom badges, you can have engraving as you like it with your name and whatever title you want to use. You also have a choice of center seals and finishes. We have searched the world and compared these fine jewel quality badges to hundreds of others made and find these badges to be top quality. If you are just looking for pricing, click here. 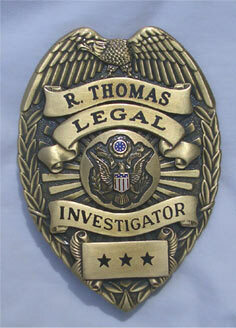 You will not find any low-end bargain basement Elcheapo Detective Agency type badges here! These are for high-grade true and seasoned professionals. Bronze Finish And Enameled Eagle Presidential Blue Center Seal. Hi-Glo Finish And Enameled Flags And Bell Center Seal. Diplomatic quality professional grade two tone star burst badge is a highly popular model. Shown with backed enameled center seal. The quality of this badge matches the quality of million dollar law firms and is a special design for independent legal investigators or in-house legal investigators who work for high-end law firms. NOTE: Custom Badges can not be ordered online. Please fax to 512.719.3594 on your letterhead. On custom badges, we require you to be the one that fills out the form indicating the spelling and titles you want on the badge panels. This avoids any mistakes in the custom badge ordering process. Your state license number is required. 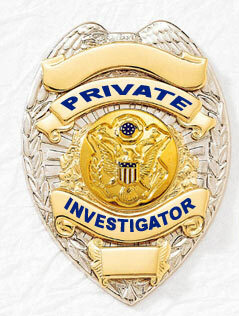 Please note that some states do not allow private investigators to carry a badge. 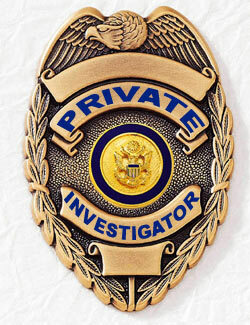 A few states have some restrictions on the type of badge a private investigator can carry. Check with your state licensing authority before ordering. 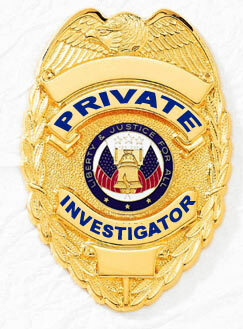 You can order badges with the title of investigator, private investigator, process server, detective, private detective bail enforcement officer and/or auto repossessor, only if you are licensed in your state if you state requires a license. 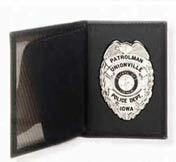 If you are a law enforcement officer, letterhead authority is needed from your department. We do NOT sell badges to private individuals. By ordering, you represent that you are legally licensed to carry a badge with the title you place on the badge in your state. Any and all attempts to frequently order any type of badge without a valid license number are automatically turned over to local, state and federal law enforcement and we work very closely with them. More Leather Badge Cases, Badge Wallets And Badge Clips! 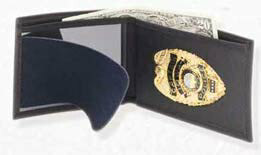 Top quality wallets with custom badge cutouts and ID Window Displays. Extensive Selection Of Badge Holders! That hold both badge and ID card. NOTE: Thomas Badge Company is a trade name claimed by the Spy Exchange And Security Center. For information on becoming an authorized dealer, contact our office.